We have a busy weekend with 2 great events to set up at ! 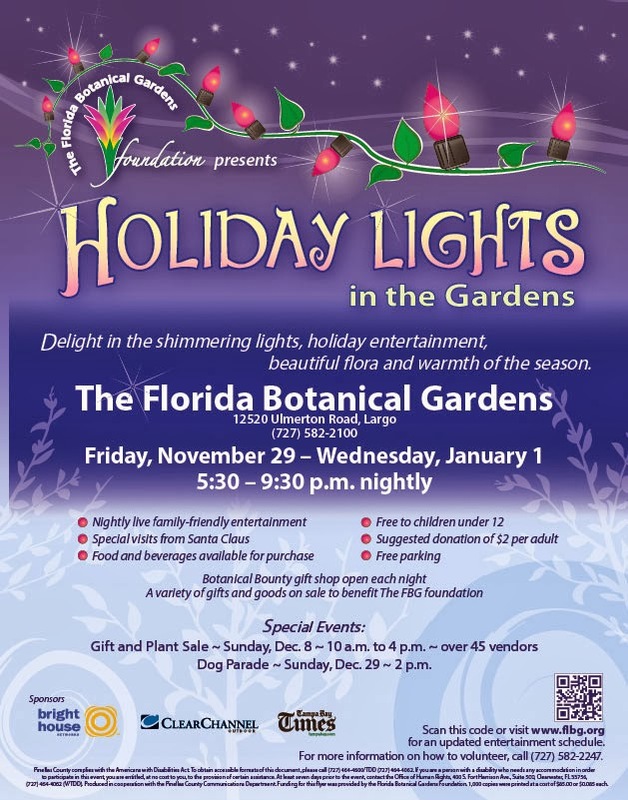 First, this Sunday, Dec. 8th, The Florida Botanical Gardens in Largo has a special Gift & Plant Sale happening in conjunction with their seasonal Garden lighting Display. See the poster below for all the info. We will be set up there and you can also find one of your favorite Sat. Morning Market vendors, Steve & Kim Schramek with Tropical Glass Creations, who will be set up in the inside garden area. We love this event and we love this Garden! Hundreds of volunteers work very hard to put together an amazing Garden Holiday Light Display every year and it's a great place to bring friends, family and kids to. Also, user freindly to those with wheelchairs, with wide walkways that are also lit up. Plenty of free parking on the grounds, food and drink available too. We hope you can come to the plant sale and stay to see this magnificent display! This Saturday, Dec. 7th, Saturday Morning Market DOES go on, in the midst of the Annual Santa Parade downtown. There are openings in the parade route to walk over to the Market area. We have found in the past, there still is plenty of parking around for customers. The Parade gets over late morning, then the streets are all reopened. We will have a fabulous display this weekend! Bougainvillea has been flying out of our booth for weeks and we are restocked up on all sorts of yummy colors...colors you won't typically find at a Box Store. Also, still stocked up on seasonal Xmas Cactus Baskets for your and patio, and they make great gifts. The Butterflies are hungry for nectar and eager to have a place to rest and host on, and we have a wide variety of Butterfly friendly plants such as, Passion vines (including the Purple Possem Edible Fruit vine), Blue Butterfly Clerodendron, Lionitis, White "hairy balls" Milkweed, Osteospermum, Popcorn Cassia, Yellow Straw flowers & much much more. Market hours on Saturday run 9am til 2pm. and the weather is going to be perfect ! So come on out, and shop Local, support Local and be Local ! 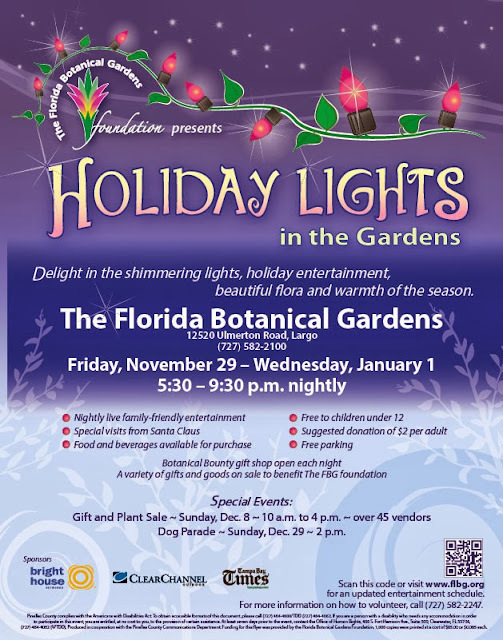 Hope to see you at the Market and hope you can visit the Fla. Botanical Garden on Sunday. Happy December to all.